Discussion in 'The Small Company Luthiers' started by samdjr74, Apr 29, 2016. 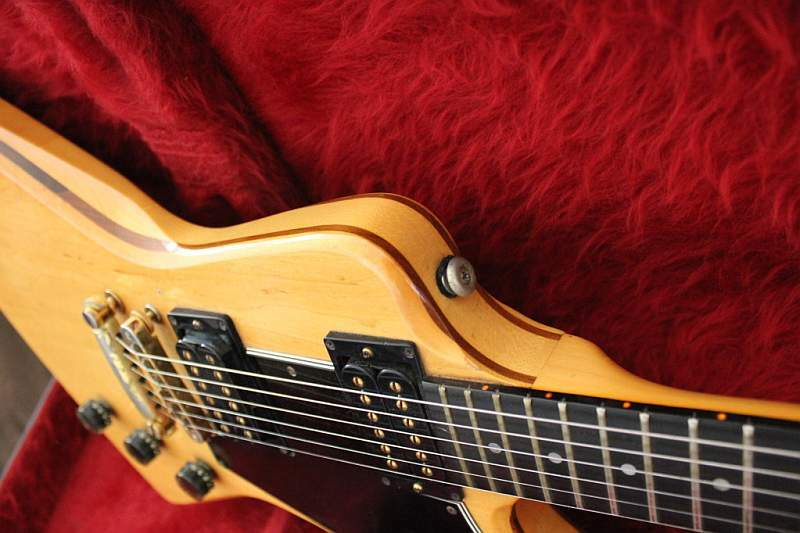 I'm looking for another explorer but I want to go with an Alembic style "hippie sandwich" construction. Who besides Alembic would do a build like this? I can't justify the price of an Alembic and to be honest with you, their version of the explorer isn't exactly what I'm after. 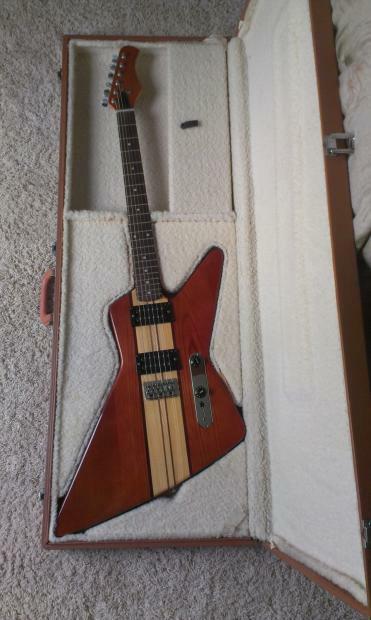 I'm looking for a Gibson size/shape explorer. Sloop John B likes this. I do, but you can't afford me either. Jim S and Jeff Scott like this. I'm on his website now, very interesting, I'm assuming you have a guitar he built? So I take it you're north of $3k? Yes both guitars in my avatar are his. The single cut was stolen a ways back from my brother but Ive had two of his guitars and still have one and really liked both of them. For something equivalent to an Alembic in electronics, yes - but not much. Also, I'm booked up for a couple years. Phiga guitars maybe? Rusch guitars, post guitars. Troy Post does the sandwich thing well. http://www.postguitars.com/ Here's one that sold recently in your price range: http://www.rukind.com/forum/viewtopic.php?f=334&t=17757&p=151320&hilit=Troy+Post#p151320 I lost an ebay auction for a similar guitar that sold cheaper than this one. He posts new ones on Ebay periodically as well. Edit to add: http://www.iocustomguitars.com/ another who does the sandwich style. He also makes his own hardware and from what I've seen it is beautiful. When I eventually commission a build I hope to use him. I think I've seen him post here? He posts alot on www.rukind.com which is a good place to look for these types of guitars. Otherwise, asking for a guitar shape that isn't super popular right now combined with a build style that isn't very popular right now is probably going to be expensive... good luck in your search! stealthtastic and Chrome Dinette like this. I would agree that Stambaugh would be a good option for something Explorer shaped with a multi-lam neck. His prices are good, although he's not the fastest builder. In his defense, most of his builds are one-off builds, often with insane construciton, electronics, and/or inlays. I have 2 with a 3rd on order. Fine if you're patient. Not so good if you want something RIGHT NOW. Mike Shiskhov seems to be doing alright with his Hamer-esque explorers. Don't forget that most Alembic "sandwich" instruments are semi-hollow.... They made "chambered" guitars before the word was invented. gerg6 and enharmonic like this. I spoke with Phil from Phiga a couple years ago about this but it never took off. I might try him again.